Priestly originated in Bucks County, Pennsylvania and was first described in 1817. A fine fresh eating apple noted for its keeping ability, staying fresh and quite juicy until late spring. The tree is vigorous, productive and a dependable annual bearer. 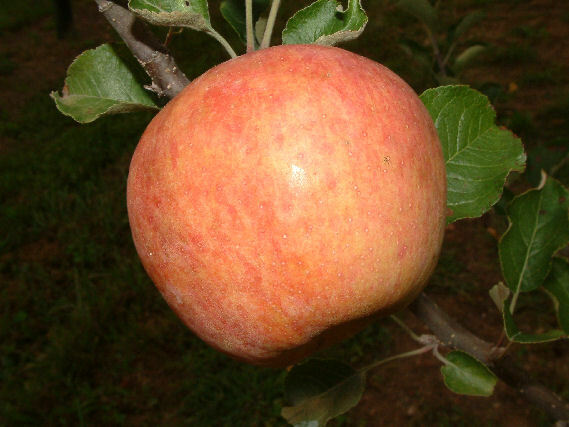 Fruit is medium to large, covered with red and darker red stripes. The yellowish-white flesh is firm, coarse and very juicy. Ripens November to December.